Which kind of Saints u like more? Which one of those battles u like most? Who is your favoriete female character from Saint Seiya? Which one of goud Saints are strongest in your opinion? While Ikki is officially recognized as a Bronze Saint, his base power easily places him well above most Silver Saints, and his reputation as a powerhouse is common knowledge among his peers and fellow Bronze Saints. Even as a child, Ikki was known as the toughest kid of the 100 orphans, and would often defend his delicate younger brother Shun from the other children. He could easily be recognized as the strongest Bronze Saint when it comes to raw power. The #1 Saint Seiya anime and Manga Resource! 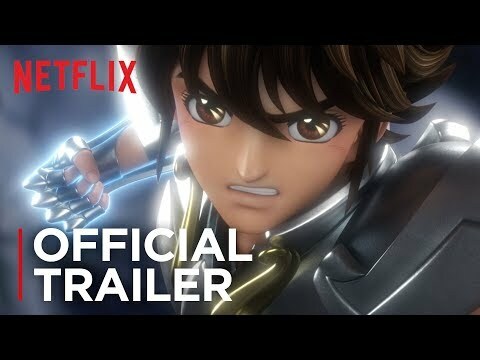 Saint Seiya on The Internet Movie Database. "Put Divino Seiya picture here"
New fans:I don't know who is he. Little old fans:What is this cloth?Who wears it anways? Very old fans that know everything:It's Divino Seiya,so easy to find out. a comment was made to the poll: Most powerful god? a comment was made to the poll: Which Pandora version u like ? Which Seiya's form is strongest?